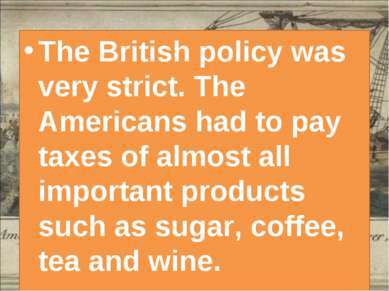 The British policy was very strict. 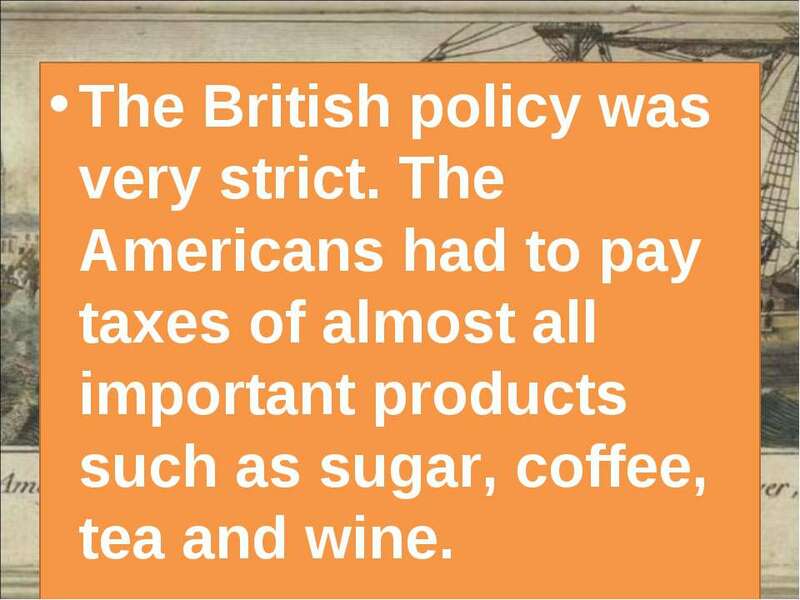 The Americans had to pay taxes of almost all important products such as sugar, coffee, tea and wine. 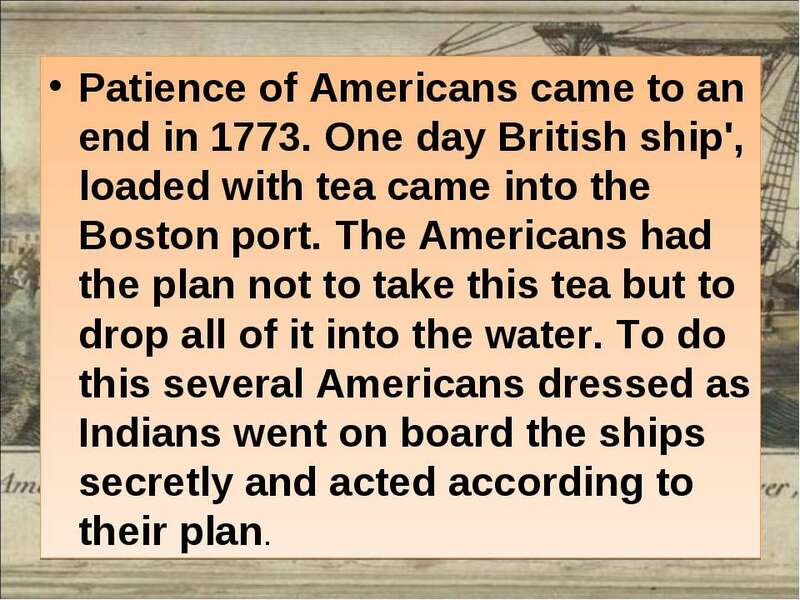 Patience of Americans came to an end in 1773. 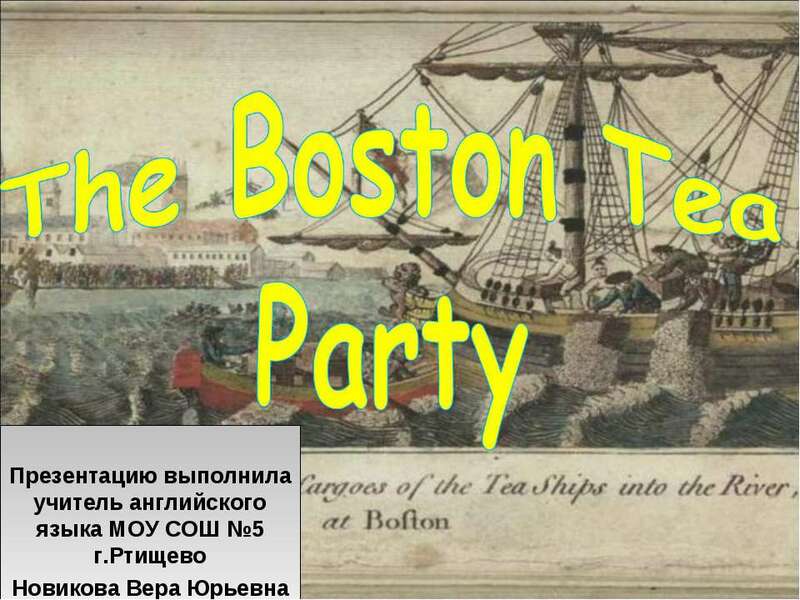 One day British ship', loaded with tea came into the Boston port. 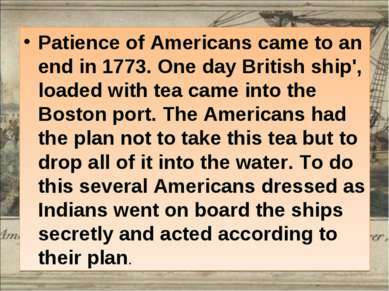 The Americans had the plan not to take this tea but to drop all of it into the water. To do this several Americans dressed as Indians went on board the ships secretly and acted according to their plan. 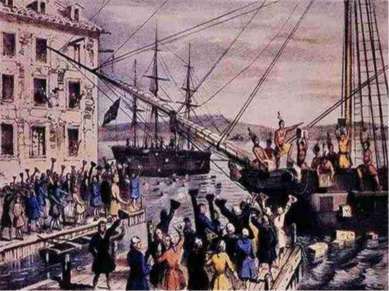 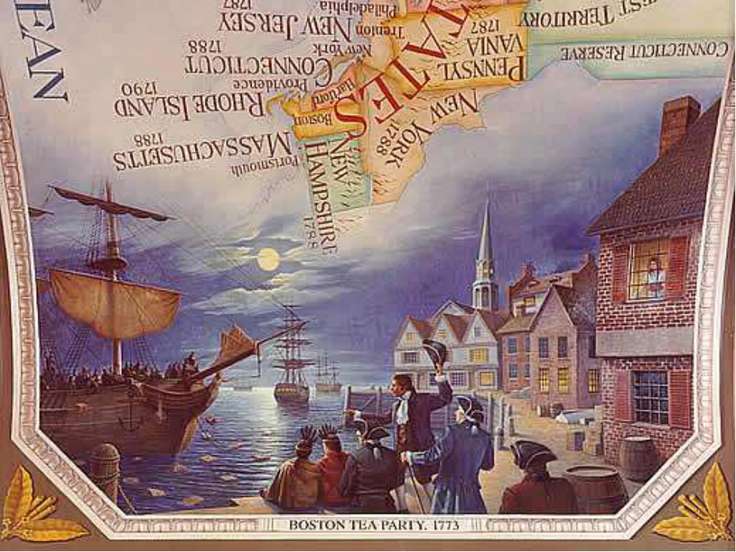 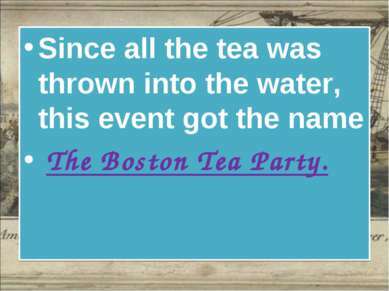 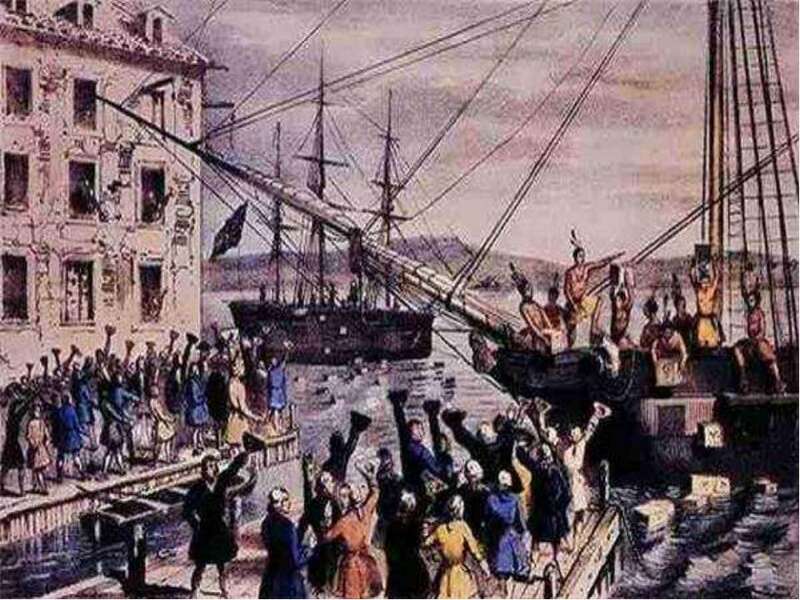 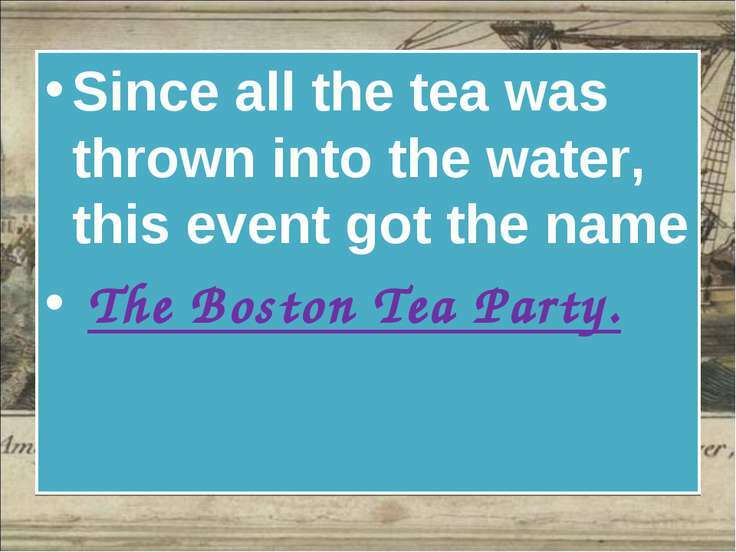 Since all the tea was thrown into the water, this event got the name The Boston Tea Party. 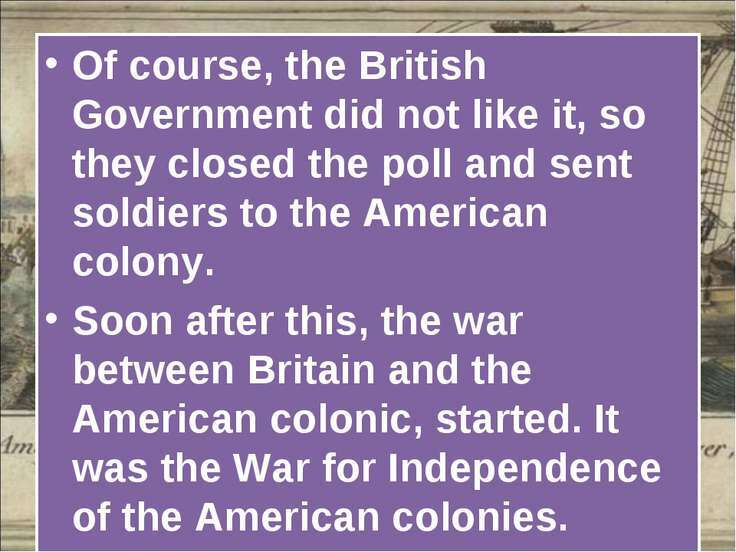 Of course, the British Government did not like it, so they closed the poll and sent soldiers to the American colony. Soon after this, the war between Britain and the American colonic, started. 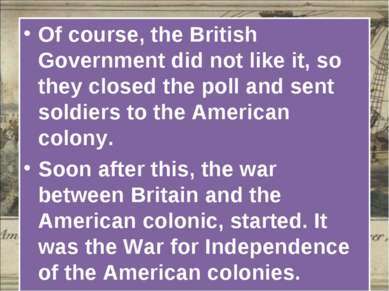 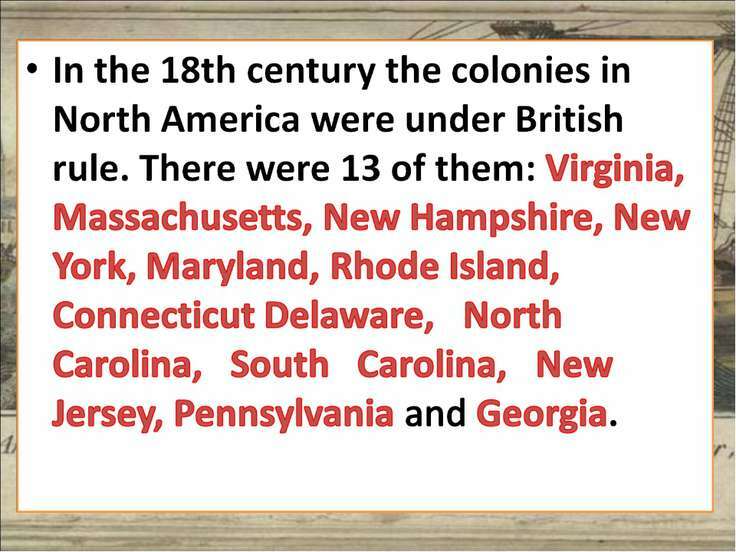 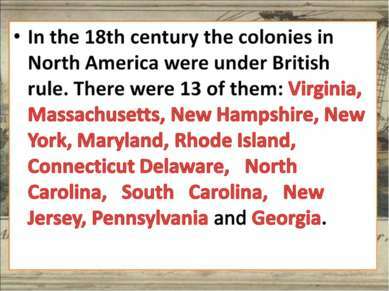 It was the War for Independence of the American colonies.